Today we completed the four Hill challenge starting near the town of Wendover. This was a long route with 4 big hills to climb so it was a hard walk but very rewarding. 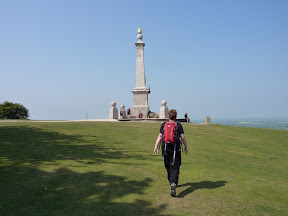 We parked the Car and made our way to Coombe Hill at 260 metres, on top of the hill is a large Monument this is in memory of all the Buckinghamshire men that died in the Boer War. 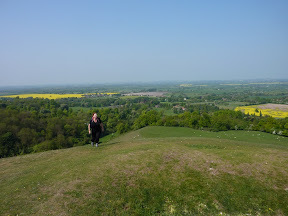 The views from the top are breathtaking and a large area of the North Chilterns can be seen from this point. We made our way to Beacon hill, this is a good climb up to the top but well worth the effort, the wind up at the top will blow you over if you are not careful. From there we made our way from Chequers Knab towards Pulpit Hill, this is a good climb but you cannot see a great deal due to the dense woodland. The place is of special scientific interest due to Glow Worms. 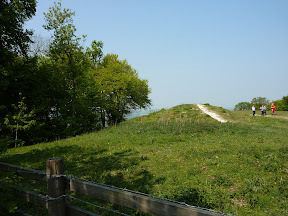 Also a hill fort used to sit on top. We then viewed a great little pub called the Plough in a small Hamlet called cadsden we will stop here for a pint on another walk, but it was to early into the Walk, so best we not stop just yet !. 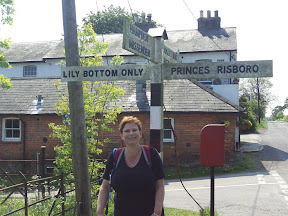 We then come across the Hamlet of Parslows Hillock & Lily Bottom before we made our way to Great Hampden and set down for a well earned break near to Hampden House. 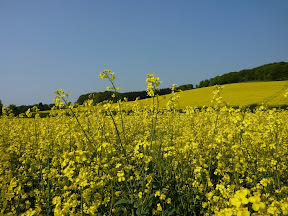 After a short stop again we were off across Grims Ditch through Warren Wood, little Hampden Common and into Scrub wood then the village of Dunsmore. 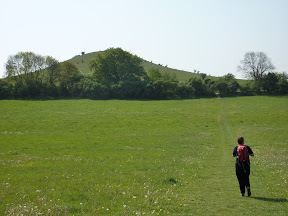 From there we made our way back to the car near Coombe Hill. 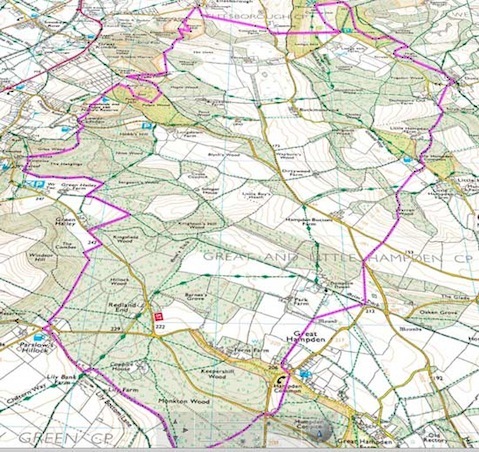 We will be back to this area very shortly as there are a load of walks around this area, and we want to see Chequers. You can Download GPS data including Google-Earth Data from the link below.